A nice 32km (1 to 2 hr) cycle loop starting from Tralee Tourist office, Co Kerry, Ireland on the Wild Atlantic Way coastal route. The cycle route visits Ardfert village with the historic ruins of the Ardfert Cathedral built in 1,111 to replace a previous monastery reputedly founded in the 6th century by Saint Brendan, Ireland's first true adventure and navigator who is said to have first discovered America 1,000 years before Columbus. Download our Free App now on iPhone and Android to take the route with you. From Ardfert you take the road to Fenit following the Wild Atlantic Way south (s) or alternatively take a short detour to the lovely Banna Beach. 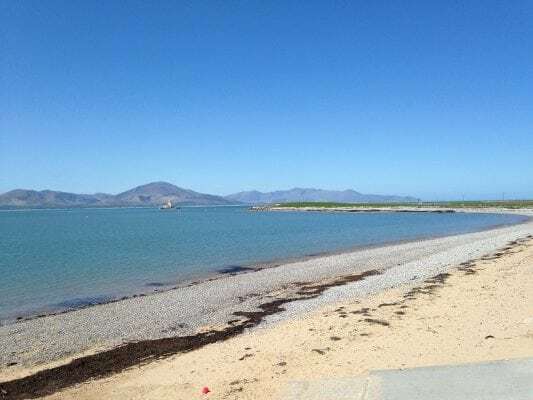 Fenit Beach is a great Blus Flag beach with stunning views of Tralee Bay, Fenit Lighthouse, Baurtragaum and Caherconree Mountains opposite the beach and the impressive Brandon Range mountain to the west. 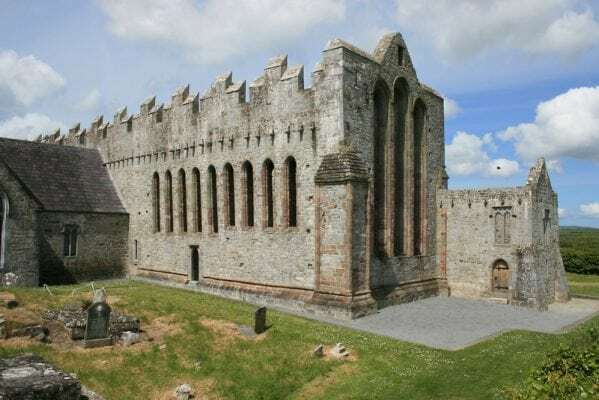 The return back to Tralee is along a nice coastal route, finishing again at the Tourist Office near the colourful Tralee Town Park where you can cycle safely with young kids and the impressive County Museum.